Medical Tourism is increasing in popularity among Canadian snowbirds travelling to the U.S., Mexico and beyond. If you’re considering having a medical procedure or treatment while spending your winter away from Canada, here’s an overview of what you need to know. Although Canadian snowbirds are not often travelling for the sole purpose of receiving treatment, many have chosen to have medical and dental procedures - or even just tests and scans - while they are away for the winter. This is usually done to jump the long queue they would otherwise have faced in Canada or to access treatments that aren’t available at home. And in the case of extensive dental work or elective surgery not covered by provincial health plans, it can often be cheaper in other countries. In addition, Canadians frequently cross the border to have MRIs or other tests done because they can take weeks or months to get in Canada. Snowbirds, however, often get these tests done in their winter destinations for convenience. In some cases, snowbirds will travel to another country for the sole purpose of having a procedure or operation done, although this is rare. What types of procedures are most commonly sought abroad? Dental work, crowns, cosmetic dentistry, etc. 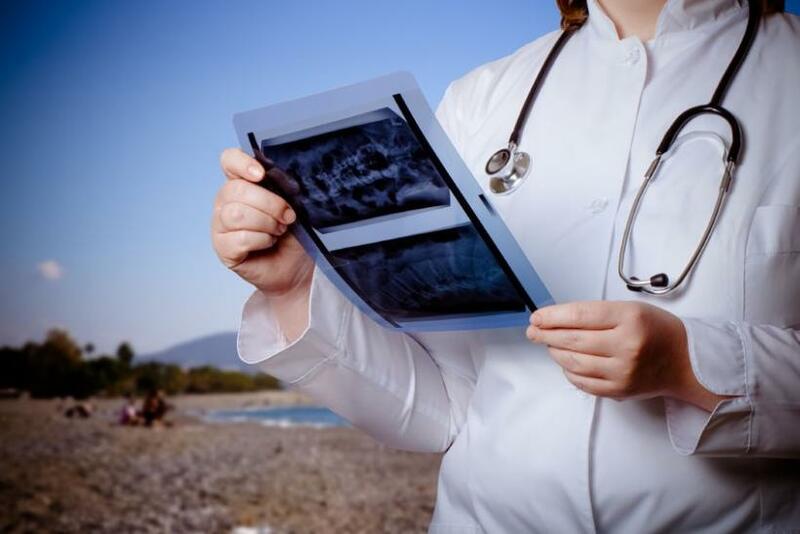 What are the most popular medical tourism destinations? There are several countries that are known for medical tourism around the world, including the U.K, U.S., Mexico, Costa Rica, Israel, Singapore, Malaysia, India, Turkey and Brazil. For snowbirds, the U.S., Mexico, Costa Rica,and other central and south American countries are the most likely destinations for medical tourism. Many Canadian snowbirds who winter in the U.S. will seek treatment there because they can get things done much faster than in Canada. The medical industry in the U.S. is highly competitive and it pays to shop around for the cost of having various procedures and surgeries done. It is also common for Canadians to get MRIs done in the U.S. as it is so much faster. Dental procedures can often be cheaper abroad than in Canada – but again, it is competitive so you need to compare pricing. Mexico and Cuba are popular for such procedures. Avoiding Wait Times: The main benefit for Canadians of receiving treatment or having surgical procedures done abroad is to avoid the lengthy wait times in Canada for certain procedures. Since we have universal health care in Canada and there is no cost for almost all procedures, many Canadians will balk at having to pay for these services. But if you cannot get the treatment or procedure you need in Canada, or you have to wait for months, even years, then paying for the service in the U.S. or elsewhere can make sense. Cost Savings: While cost savings aren’t applicable in most cases, there are two main areas where snowbirds can save significantly by having medical procedures performed abroad – dental work and elective procedures / treatments that are not covered by provincial health care plans. In both cases, treatment abroad can be a fraction of the cost for similar procedures in Canada. However, in order to experience these savings you’ll have to look further abroad than the United States (i.e. Mexico), as costs in the U.S. are often equal to or greater than Canada for these procedures. Convenience: If you know you’re going to have to cross the border at some point to have an MRI or other medical test done in a border city like Buffalo or Detroit, it can be much more convenient to have your test done in your winter destination instead. Treatment Access: In some cases, certain medical treatments and procedures aren’t available in Canada and must be sought abroad. In addition to the benefits, there are also potential risks that you should consider before choosing to have medical procedures done in another country. Quality of Care: If you’re considering treatment abroad, it’s important to do your research to make sure that the facility, its doctors and staff have a good reputation, track record and training. While many Canadians have positive medical tourism experiences, some have had nightmare experiences, often due to inferior care. Make sure you do your homework first! Post-Treatment Follow Up & Complications: As with any medical procedure, there can be post-procedure follow up requirements or complications. Understanding who will handle your post procedure care and how it will be handled is even more important when having treatment abroad. In addition to asking the treatment center about this, it is wise to check with your primary care physician in Canada before making any decisions to have treatment elsewhere. Costs: In addition to the actual cost of the medical treatment or procedure, there can be other costs associated with medical tourism, including travelling, living expenses, accommodations, etc… You’ll want to understand what these are first and factor them into your decision. Travel Insurance Coverage: This is an important one! Any travel medical insurance you have is for unexpected emergency medical care only and will not cover the costs of any medical procedures you choose to have abroad. Nor will it cover any complications or conditions that arise from these procedures. It’s best to check with your travel medical insurance provider to see what the implications would be for your coverage. While medical tourism is growing in popularity for Canadian snowbirds and can be a great option for those looking to jump the queue at home or save on costs, it’s not for everyone. If you’re considering having a procedure or treatment abroad, make sure you consider the benefits and risks first, and most importantly, do your research ahead of time.